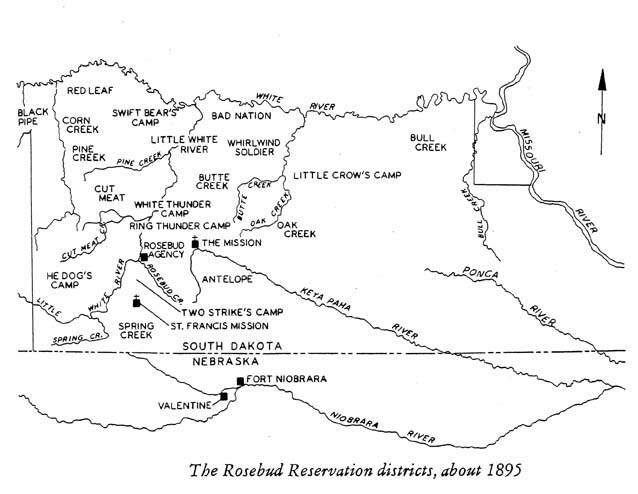 Districts Origin of map unknown but it is similar to the map in "The Sioux of the Rosebud: A History in Pictures", Photographs by John A. Anderson, Text by Henry W. Hamilton and Jean Tyree Hamilton. University of OK Press, 1971 (pp. 68-69).